Unattended death is one in which the deceased died suddenly and alone where the remains were not immediately discovered. Unattended death of a loved one due to an accident, illness, disease, homicide, or suicide is extremely difficult for remaining family members and friends to encounter. Losing a loved one this way is tragic. The professional, compassionate staff at Clean Keepers understands the grief associated with this type of tragedy and will help the family with the cleanup process with respect and discretion. Inability to enter the premises to locate important documents, keys, etc. The emotional trauma can be overwhelming during this difficult time.In situations like these, it is necessary to consult a qualified team of bio-remediation specialists, like Clean Keepers in Fort Myers, for proper decomposition cleanup. Our highly-trained team will restore the property to a sanitary, functioning condition. What Should I Do if I Discover an Unattended Death? If the deceased is a friend or family member, your initial response may be to be by their side. But it’s imperative that you DO NOT do this, because you may potentially encounter dangerous biohazardous substances. As previously mentioned, it is important that you leave the scene immediately. Furthermore, do your best to secure the scene so that others cannot enter. Not only does this keep everyone safe, but it also preserves the scene in the event a crime was committed. Once first responders arrive, the scene will be treated based on the preliminary determination of cause of death. If it is determined that foul play exists, law enforcement personnel will collect evidence from the site. At the appropriate time, the body will be moved to the coroner’s office for examination, which will likely include an autopsy and forensics exam. This can take up to 48 hours, at which time, you can plan to transport your loved one to the funeral home of choice. Keep in mind that in some instances, a cause of death may not be immediately revealed. 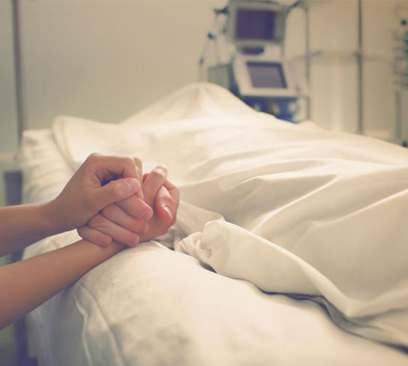 Because a death certificate is needed to proceed with funeral arrangements, as well as the probate process, the coroner will likely issue a death certificate with a pending cause of death. What Happens During Body Decomposition? Autolysis, or self-digestion, begins instantly after death. Blood circulation and respiration cease, and superfluous carbon dioxide produces an acidic environment, resulting in ruptured membranes that release enzymes consume the cells. Rigor mortis also sets in, which stiffens muscles and produces blisters that rupture, thereby causing the skin to loosen. During this stage, gases are emitted, and skin discoloration occurs. The gases cause the body to bloat, generally double its size, and insect infestation may begin. It is during this time that putrefaction, or unpleasant odor, begins, signaling that someone has died. This stage of decomposition is exactly what it seems…the body actively decays. Active decay begins when fluids escape through the orifices of the body. The entire body liquefies. Hair, bones, skin, organs, etc., liquefy, resulting in the greatest loss of mass, during the active decay stage. Skeletonization occurs differently with each body based on the timeframe in which both organic and inorganic mechanisms decompose. How Does Decomposition Affect the Site of an Unattended Death? Within days of death, decomposition is evidenced as bacteria quickly spreads throughout the remains. During this process, liquids and gases are emitted from the body that contain dangerous pathogens. The bacteria, mold, and insect infestation associated with an unattended death can damage a dwelling, as well as the items within the structure. The presence of these biohazardous materials requires the expertise of trained technicians to effectively sanitize the area for safe re-entry. Prior to cleanup of an unattended death, the remains must be removed by law enforcement and the property must be released to the responsible party. At this time, family members must decide how to restore the dwelling. That’s where the professionals at Professional Biohazard Cleaning Services come in. Our team will work with you every step of the way to restore the property, so that it is clean and safe for you to enter when you are ready. What Occurs During the Unattended Death Cleanup Process? It’s important for the unattended death cleanup to begin as quickly as possible once the site has been discovered to prevent longstanding damage to the structure. 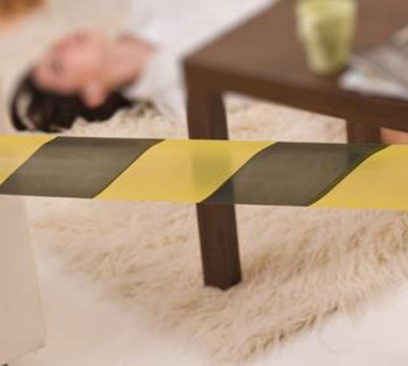 Instigating a prompt cleanup abruptly halts the damage already occurring due to the presence of biohazardous materials associated with an unattended death. The goal of the unattended death cleanup process is to reestablish safe occupancy conditions. Our seasoned professionals utilize appropriate biohazard personal protective equipment like goggles, masks, and gloves to completely clean, sanitize, deodorize, and restore the site of an unattended death incident, so that it is both comfortable and safe for family members to enter. Upon client authorization, our technicians will begin the decontamination process, to include disinfecting the area, properly removing contaminants, malodor treatment, and complete sanitizing of the home or business. We follow OSHA’s strict guidelines for this delicate process to ensure the health and safety of future occupants. 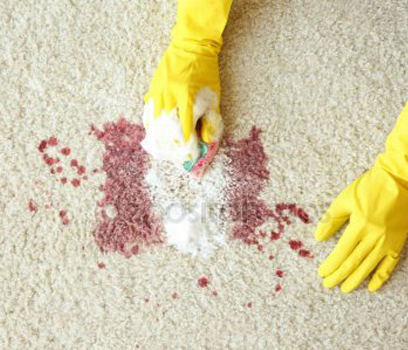 The first step of unattended death cleanup is removing what is left of the remains of the deceased, to include blood and bodily fluids, as well as items in the dwelling that may have been contaminated by the harmful substances associated with an unattended death. Biohazardous materials are placed in a red biohazard bag or box and transported to an authorized biological waste disposal location where it is handled according to state requirements. Clean Keepers takes the sanitation and deodorization process of an unattended death scene seriously. Once biohazardous materials are removed, we sanitize the area using hospital-grade chemicals to ensure complete elimination of harmful pathogens. Following sanitization, we apply deodorizing chemicals to eliminate the unpleasant odors that typically accompany an unattended death. The basic cleaning process for an unattended death does not completely eliminate biohazards that occur at the site. Our highly-trained technicians use medical-grade chemicals tosanitize the area and remove the dangeroussubstances that sometimes remain after the initial cleanup. One disturbing facet of the decomposition process is the release of gases that produces an unpleasant odor, which is quite difficult to remove from a structure. Our team uses medical-grade deodorizing elements to remove even the worst odors while following the explicit regulations in place regarding the processes implemented to efficiently deodorize the site of an unattended death. The final goal of the unattended death cleanup process is to restore the dwelling to a safe, habitable condition. This is crucial for the safety of anyone entering the premises. Furthermore, proper restoration is critical should you decide to sell the home or business in the future.Our technicians will restore the dwelling to its previous condition with no signs of the unattended death scene remaining. In addition to performing the cleanup we will assist with the insurance process to help alleviate the financial burden associated with unattended death cleanup. Our team will communicate with adjusters, file your claim, and work with contractors as needed, so you can focus on dealing with moving on from the traumatic event. If you’re dealing with the aftermath of an unattended death, Clean Keepers is here to help you through this difficult time. We are a trusted company for unattended death services in the Fort Myers area. We are available 24/7 and will promptly dispatch certified professional biohazard technicians to the scene. We strive to make the decomposition cleanup process as easy as possible for those affected by the tragedy of losing someone in this manner. We invite you to call us at (239)368-1219, so we can help you in your time of need.